Yusuke Kamiji(上地 雄輔,Kamiji Yūsuke, born April 18, 1979 in Yokosuka, Kanagawa Prefecture, Japan as the first children) is a Japanese actor, singer, and tarento. In the music world, he is known mononymously as Yusuke(遊助,Yūsuke). Kamiji graduated from Yokohama Senior High School. He belonged to the baseball club while in school, and played catcher. He and Daisuke Matsuzaka played together for one year, and when Matsuzaka joined the club, it was Kamiji who first practiced with him. Kamiji assumed uniform number 2 from autumn of his junior year, but handed it over to freshman Yoshio Koyama (currently with the Chunichi Dragons) because of a serious injury to his right elbow during practice. 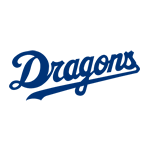 The Chunichi Dragons are a professional baseball team based in Nagoya, the chief city in the Chūbu region of Japan. The team plays in the Central League of Nippon Professional Baseball. They have won the Central League pennant 9 times and the Japan Series twice in 1954 and 2007. They were also champions in the 2007 Asia Series. After high school, Kamiji attempted to enter university on a sports scholarship, but gave it up after the injury to his elbow. He then decided to make his way as an actor. He made his debut in the serial drama "LXIXVXE" on TBS in 1999. By this time, Daisuke Matsuzaka had made world headlines in the pros, and it was reported in several Japanese sports journals that his "former wife" had debuted as an actor. Kamiji acquired experience be appearing in bit parts in many TV dramas and movies. His big break was in a guest appearance on "Quiz Hexagon II", a Japanese celebrity game show, in which he continues to provide comic relief; he is also a regular guest on Fuji TV's Stupid Cara. Along with two of his fellow regulars on Quiz! Hexagon II, Takeshi Tsuruno and Naoki Nokubo, Kamiji was a member of a musical unit called Shuchishin. The trio often performed on air on Hexagon II for roughly one year, after which the group was dissolved. Since then, Kamiji has recorded and released music under the mononym Yusuke(遊助,Yūsuke, written differently from his legal name). All three of his singles released in 2009 charted, with "Himawari" reaching #8 for the year, "Tanpopo/Kaizokusen/Sono Kobushi" at #17, and "Ichō" at #37. Naoki Nokubo is a Japanese variety star from Iwata, Shizuoka. He is also in charge of the management work at Breakpoint Inc.
Kamiji's father, Katsuaki Kamiji, is Yokosuka City Congressman. He owned a clothing brand called U-Suke which is selling school uniform. 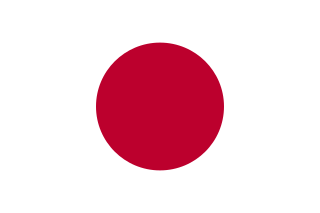 Japanese is a synthetic language with a regular agglutinative subject-object-verb (SOV) morphology, with both productive and fixed elements. In language typology, it has many features divergent from most European languages. Its phrases are exclusively head-final and compound sentences are exclusively left-branching. There are many such languages, but few among European languages. It is a topic-prominent language. Yu Yu Hakusho is a Japanese manga series written and illustrated by Yoshihiro Togashi. The series tells the story of Yusuke Urameshi, a teenage delinquent who is struck and killed by a car while attempting to save a child's life. After a number of tests presented to him by Koenma, the son of the ruler of the afterlife Underworld, Yusuke is revived and appointed the title of "Underworld Detective", with which he must investigate various cases involving demons and apparitions in the human world. The manga becomes more focused on martial arts battles and tournaments as it progresses. Togashi began creating Yu Yu Hakusho around November 1990, basing the series on his interests in the occult and horror films and an influence of Buddhist mythology. Keiji Nakazawa was a Japanese manga artist and writer. Ian Richard Hodgkinson, better known by his ring name Vampiro, is a Canadian semi-retired professional wrestler currently working for Lucha Underground as a color commentator. Hodgkinson is also member of the citizen crime patrol organization Guardian Angels, acting as head of the group's chapter in Mexico City. Also, he is the current Director of Talent for Lucha Libre AAA Worldwide (AAA). Dori Sakurada, born December 7, 1991 is a Japanese actor and singer. He is best known for his role as Ryoma Echizen as part of the third generation Seigaku cast in The Prince of Tennis musicals, Tenimyu. The Tower of Druaga: The Aegis of Uruk and its sequel, The Tower of Druaga: The Sword of Uruk, is a Japanese anime television series, created by Gonzo, and is an animated reboot/continuation of Namco's Babylonian Castle Saga video game franchise which began as an arcade game, The Tower of Druaga, originally released in 1984. This series is amongst the first to be officially broadcast on the internet by Gonzo simultaneously in Japanese and subtitled in English on YouTube, and BOST TV. Tomoki Hasegawa III is a Japanese composer and arranger of music, best known for his work on anime soundtracks, born on 19 July 1957 in Ikeda, Osaka Prefecture, Japan. He has also done sound production work on albums for Mayumi Iizuka. Shuchishin is a Japanese idol vocal group formed as part of the variety show Quiz! Hexagon II produced by Fuji Television Network Incorporated. Originally meant to be a joke group, the trio has released singles that have hit the top 10 on both the Oricon and the Billboard Japan Hot 100 Singles. Shuchishin, whose name translates as "Shame", consists of the leader Takeshi Tsuruno with Naoki Nokubo and Yusuke Kamiji. The group's final performance was on the January 2, 2009, New Year's Special episode of Quiz! Hexagon II. The group's name comes from a mispronunciation of the word when it came up in a question on the show in mid-2007. Valkyria Chronicles is a series of military-themed tactical role-playing video games created by Ryutaro Nonaka and Shuntaro Tanaka, and developed by Sega. The series began with Valkyria Chronicles, which was released for the PlayStation 3 in 2008, and later for Microsoft Windows, PlayStation 4 and the Nintendo Switch. Two sequels have been released on the PlayStation Portable, with the latest installment, Valkyria Chronicles 4, released for the PlayStation 4, Xbox One, Nintendo Switch and Microsoft Windows. The series has also been expanded into anime and manga media. Masahiro Motoki is a Japanese actor. He portrayed protagonist Daigo Kobayashi in Departures, which won the 81st Academy Awards for Best Foreign Language Film. His performance earned him the Award for Best Actor at the 2009 Asia Pacific Screen Awards, at the 3rd Asian Film Awards and at the 32nd Japan Academy Prize. Kaba-chan (KABA.ちゃん) is a transgender Japanese celebrity and choreographer, born on June 19, 1969, in Yanagawa, Fukuoka. After studying dance in New York City, she returned to Japan and was a member of the musical group Dos with Taeco Nishikawa and Asami Yoshino. Waiting in the Summer is an anime television series animated by J.C.Staff, produced by Genco and Geneon, and directed by Tatsuyuki Nagai. The screenplay was written by Yōsuke Kuroda with original character design by Taraku Uon, who both contributed in the creation of the Please! franchise. The 12-episode series aired in Japan between January and March 2012 on TV Aichi and KBS. Sentai Filmworks has licensed the anime for release in North America. The staff of the anime returned to produce an original video animation episode in August 2014. A manga adaptation illustrated by Pepako Dokuta was serialized in ASCII Media Works' Dengeki Daioh magazine. Promo Azteca was a professional wrestling promotion that was founded in Tijuana, Mexico by Fuerza Guerrera in 1995. It was taken over by Konnan and Jorge Rojas the following year and was home to many of the luchadors wrestling for World Championship Wrestling (WCW) during the late-1990s. ↑ Japanese TV star is the world’s most popular blogger by Guinnes Records. Asiajin. June 5, 2008. Accessed September 22, 2009.